I know, less than a week, AAAHH! I’m so excited too, and the more I see your reactions, even more excited I get! Another thing that increases inversely proportional to the time till #GHC15 is, the number of events! The GHC schedule is amazing, technically and socially mesmerizing, but it seems more awesomeness is on the way like previous years. Some companies, universities and special interest groups organize their own events and parties! So… I will try to be your party guide, girls! Note: The events listed here are all unofficial ones, please check the conference schedule for the official events. Let’s start with a brief summary of last year. We have been to so many events that I apologize from the start that I’ll only mention my top three unofficial parties. To start with, third place goes to Amazon (and Kiva), with their refreshing Amazonian cocktail🙂 Second place (unfortunately) goes to Pandora, unfortunately because that was one of the best conference parties I’ve been to. They closed a roof-top bar, turned it into an open-air disco, with awesome Pandora music. They also had delicious food and so useful swags that I still use (like little Pandora power stations!). Oh, and they also invented their special pinkish cocktail (Pandora mist? I don’t remember its name), And the first place, goes to: Pinterest. The most creative party I’ve ever seen! We’ve done our first dream-catchers, near “a mountain of cheese”, with unlimited alcohol. There was also a photo-booth, swag, more food, and everything you can and cannot think to turn a regular place into an incredible party! Ok, enough with the last year, let’s start this years list! Click on the company names to access the event details. Women TechMakers: It seems like something fantastic is coming up. Stay tuned! Facebook: Instead of one big event, Facebook divided the teams into Research, DevOps, and others; and meeting in breakfasts, brunches, and lunches. Uber: LadyEng in Uber await you for games, food and networking! Twitter: WomEng team of Twitter invites you to a panel followed by a Twitter party (following the special cocktail tradition that I mentioned before). Github: A creative event comes from Github! Meet at Patchwork Houston for a workshop to learn and dig into Git! Pandora: Not sure if it will be as heart-warming as last year, but give it a try. Instacart: Come, socialize and party with Instacart! LinkedIn: WomenConnect at LinkedIn invites you to another networking event. Square: This time you’re invited to a breakfast! You’ll be having coffee, breakfast, swag and fun time with Sarah Friar (CTO). CMU: Carnegie Mellon University calls you for desserts! Axon & TASER: Interestingly, scholars, food and party time! Cisco: Cisco also has a networking dinner. Pros: Another networking reception by BLAZE at Pros. Women in Technology: Houston: Another panel accompanied with food and surprises, that aim to strengthen our connection. Mastercard: Another reception to enjoy, this time by Mastercard. Career Incubator: A night of Martinis&Mentors, sounds interesting! iOS: Are you an ios developer? Then join the crowd and make apps come true! As a last note, I would suggest to register for the events from the links. But don’t worry if it’s closed, or full, or invite-only. 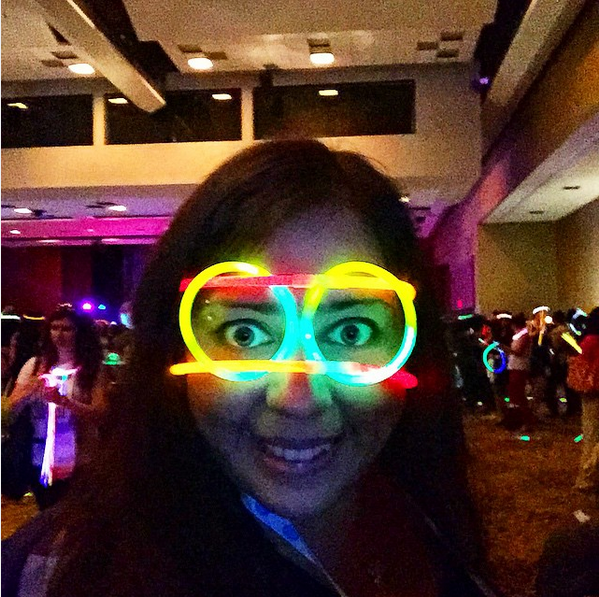 You never know who you’ll meet with or where you’ll be going to, in #ghc15 🙂 If there is an event or a party of your dream place, go to their booths to ask about it, or just learn the address and go! Remember that all those efforts are for you, just for you:) I’ll keep updating the list as soon as I hear about more events. If you know of an event, leave it in the comments with the link, so that I’ll add it to the list. Hope to dance with you all girls! I’ll end this very informal post with a photo from last year’s official party, thanks to Google:) Have fun!